Meet a next-generation scientist making the next generation of biofuel. 17-year-old Sara Volz invented a process that increases the amount of biofuel produced by algae to win this year’s Intel Science Talent Search. The Colorado Springs student claimed the $100,000 grand prize with her project, which uses artificial selection to pinpoint which organisms are churning out the most fuel. This new method not only helps to bring down the overall cost of algae biofuel, but it was developed primarily in her bedroom under a lofted bed! As dedicated a scientist as her adult colleagues, Sara Volz took to sleeping with the same light cycles that her algae required to grow. In a homemade lab under her loft bed, Volz grew algae in a medium containing the pesticide sethoxydim to kill the algae that produced low levels of acetyl-CoA carboxylase (ACCase), an enzyme that is important in lipid synthesis. The remaining algae could produce substantial amounts of oil that could make the biofuel commercially viable in the future. Since algae requires little land mass and comparatively few inputs to sustain, the biofuel stands as a great renewable alternative to petroleum. Sarah was selected from a pool of 1,712 high school seniors. Her investigations into algae have not only earned her a major distinction, but have contributed to efforts in curbing climate change through clean energy production. Excellent work! This young lady has a very promising future. Congratulations! I hope her dedication to her research is significantly increased with her rewards. i hope to read more of her successes. Air conditioner water towers tend to grow algae which is almost impossible to kill off. One factor is sunlight. The more light the more algae grows. Her technique might be used with water towers to actually boost the algae output. Harvesting for profit might work out better than trying to constantly fight off the algae. Sar Crew, why don't you create a hemp experiment under your loft bed? You and Sara can compare your results. Good for her.. 100k is nice. However, I do not see this outperforming hemp based biofuels. Meet a next-generation scientist making the next generation of biofuel. 17-year-old Sara Volz invented a process that increases the amount of biofuel produced by algae to win this year's Intel Science Talent Search. 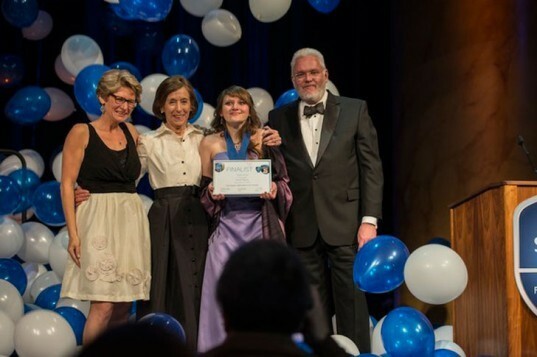 The Colorado Springs student claimed the $100,000 grand prize with her project, which uses artificial selection to pinpoint which organisms are churning out the most fuel. 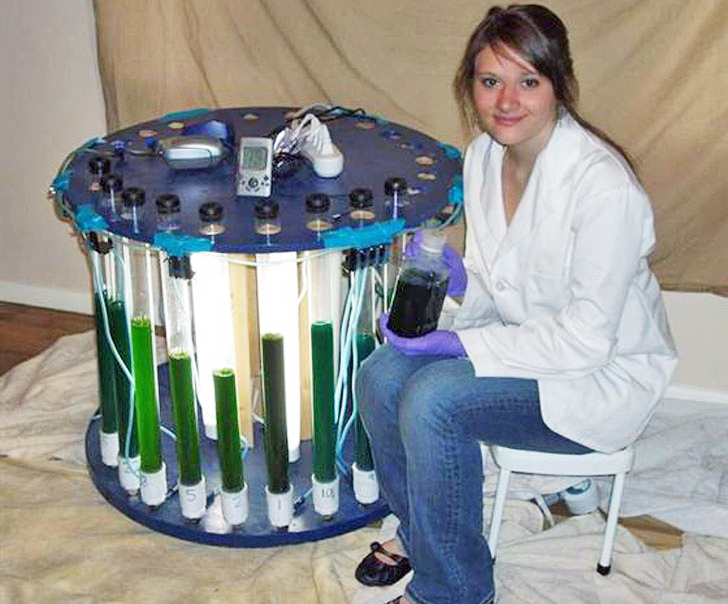 This new method not only helps to bring down the overall cost of algae biofuel, but it was developed primarily in her bedroom under a lofted bed!